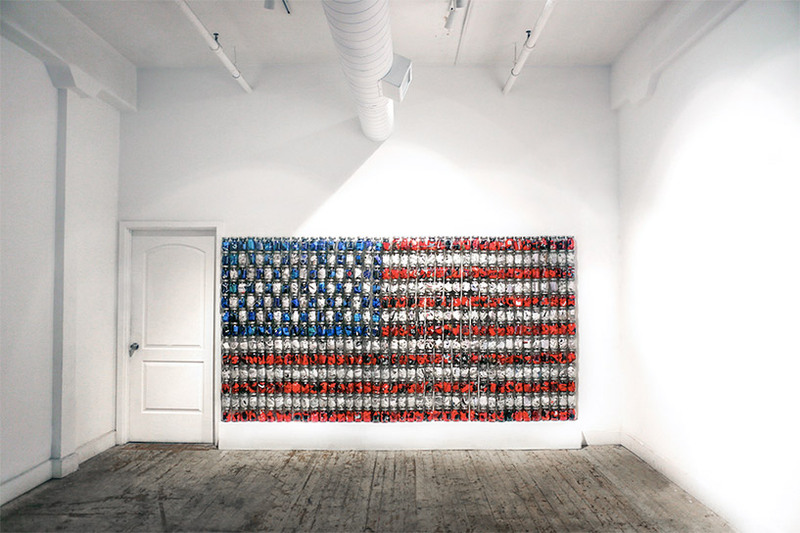 ‘A Transparent Truth: Phil Knight’s Song’ is part of an ongoing sculptural series of American flags. 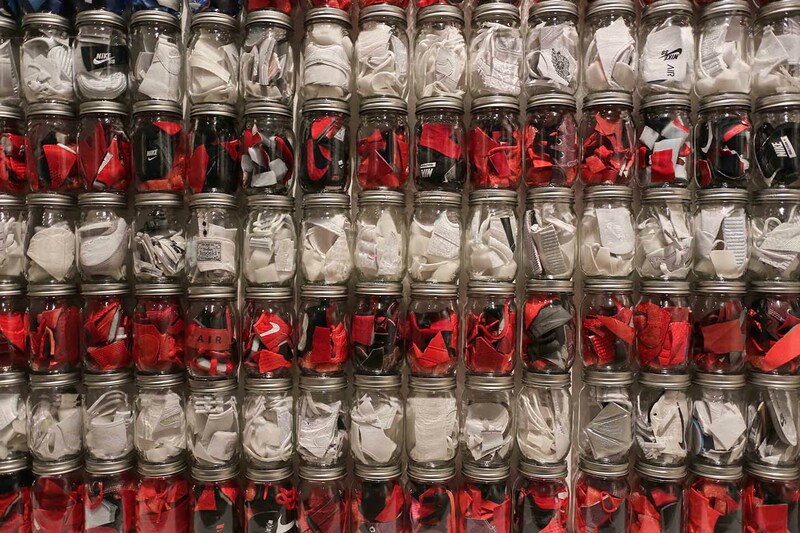 The first in the series, done in 2015 in Los Angeles, is 190 x 400 cm and made up of over 500 glass jars filled with 200 cut up, deconstructed shoes. 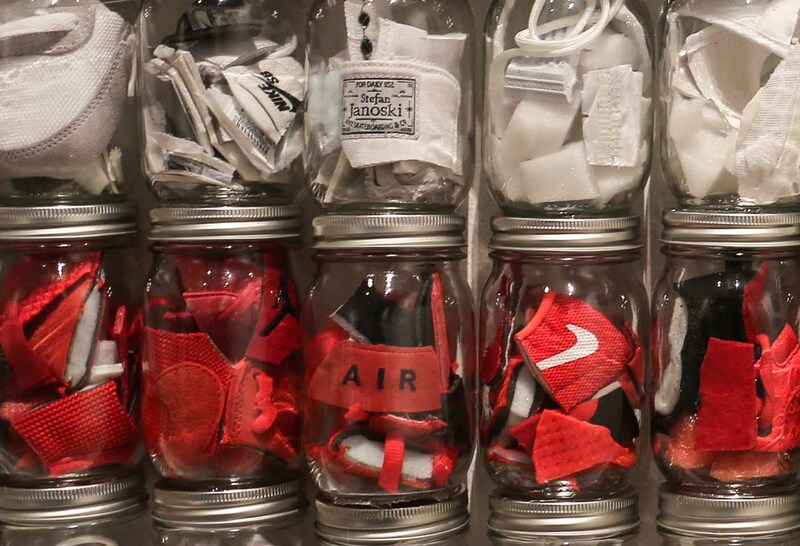 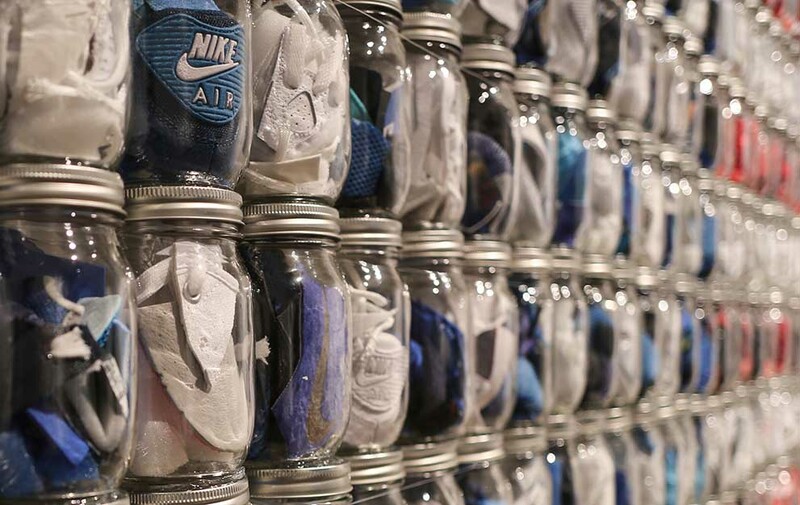 The jars are filled with numerous kinds of Nikes, from Air Jordan’s, Lebron’s, Yeezy’s and Nike Skateboarding shoes to name a few.